Manchester United’s 0-0 draw with Crystal Palace at Old Trafford on Saturday should be seen as a lucky point for United. All too often, Crystal Palace cut through the United defence like a hot knife through butter, thankfully only to squander each chance with poor finishing (and one correct offside decision). After the game, José Mourinho complained that his players had “lacked heart”, but what most fans see is a lack of direction, and a lack of confidence. That confidence starts at the back. When mid-to-lower table teams come to Old Trafford and have our defence reeling, not once but consistently, anything the team does going forward is built on shaky foundations. The fact is that every time we face an attack, you don’t have any confidence that we’ll deal with it successfully. That shakiness transmits itself to the rest of the team. On Saturday, the surprise recall of the much maligned Matteo Damian gave rise to a lot of concern from the fans, but in fact, Darmian was arguably our best defender on the day. He has made some mistakes in a United shirt, but unlike Antonio Valencia and Ashley Young, he is a specialist, career defender, built the Italian way, an expert in closing down space and positional timing and with an instinctive awareness of when to go forward and when to drop back. Ashley Young filled in for the suspended Luke Shaw at left back and had a steady game, yet our defence looked as shaky as ever, perhaps the shakiest it has looked all season. So what’s the reason? Despite Victor Lindelof’s heroics on Saturday, despite his marked improvement since his woeful start as a Manchester United player, and despite his obvious potential, you can’t help but think that the Smalling-Lindelof centre back combination is a disaster. Even with the constant protection of Nemanja Matic sitting stoically in front of them in a three man midfield, they look about as safe as a hedgehog’s condom. Yet week after week, these two names appear on the team-sheet as our rearguard, the safe foundations on which to build our game. José asked for another centre-back in the Summer, only for Ed Woodward to disappoint him and buy no-one. Of course, that didn’t help. The last minute panic lurch for 32-year old Diego Godin and his rather honourable rejection spoke volumes about our continued lack of strategy in the transfer market. But imagine Eric Bailly played for another club and we signed him. We’d be dancing in the streets the moment he signed, wouldn’t we? Still only 24, he’s one of the most talented young centre backs in the world. Imagine if we could also sign an even younger talent – the just-turned 21 year old Axel Tuanzebe, hailed by the Aston Villa fans as “A cross between Franco Baresi and John Terry”, “Will win the Ballon d’Or within 2 Years”, “Easily the best defender in this league [the Championship]” and so on. How cool would that be for the future? But we don’t have to sign these players. These are our players. So why are they being overlooked for Smalling and Lindelof? So why not afford Bailly and Tuanzebe the same opportunity? Why not start with a pairing of Bailly and Lindelof? Or even Bailly and Tuanzebe? “Bailly has physical qualities, he’s very fast – he’s not very tall,” said José. 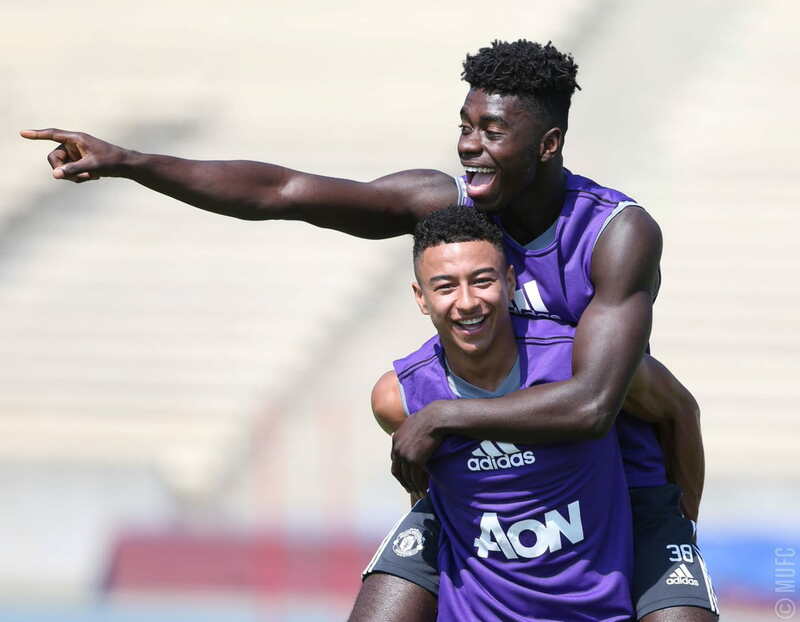 So here’s José’s answer: Lindelof and Bailly, both at 6″2 inches, are too short to play together. We need the extra two inches of the 6″4 inch Smalling, who is “dominant in the air”. No chance for Tuanzebe then, who’s a tiny 6″1 inch. Don’t skill, commanding presence, poise on the ball, physical prowess, pace, tackling and positional ability – all areas in which Bailly is head and shoulders above Smalling, count as much as two inches more of height? And doesn’t understanding and chemistry between the two centre backs count for anything either? Because the gaps that appear between Smalling and Lindelof are so big at times they’d need binoculars to find each other. I can see the argument here in relation to Rojo and Jones, but is he also talking about Bailly? His ankle injury last season kept him out of 21 games, but he only missed eight games in his first season with us, and none, to my knowledge, this season. It’s an almost identical injury record to Chris Smalling’s over the same period. As Tuanzebe also missed a lot of last season through injury, I can understand watching his development over another season at Championship level, although at this stage I don’t think we would have anything to lose in recalling him in January and seeing what he’s got in the Premier League. But what I can’t understand is that José really believes that the Smalling and Lindelof partnership is “performing quite well”. It’s like the captain of the Titanic saying the ship is performing quite well. And it is a mystery to me as to why he persists with the erratic and uninspiring Smalling at the expense of his own virtuouso signing, Eric Bailly. Surely it’s not about two inches of height. Lindelof’s groin injury in the dying moments against Crystal Palace will probably put him out for a few weeks, so perhaps Bailly will now be finally given another chance to shine. It looks like he’ll have to impress while playing alongside Cornrow Chris, though, which nobody at the club has managed to do so far.